Foreign affairs minister Chrystia Freeland is asking for a NAFTA review into what she calls “unfair and illegal” 30 per cent American tariffs imposed on Canada’s solar panel manufacturers. 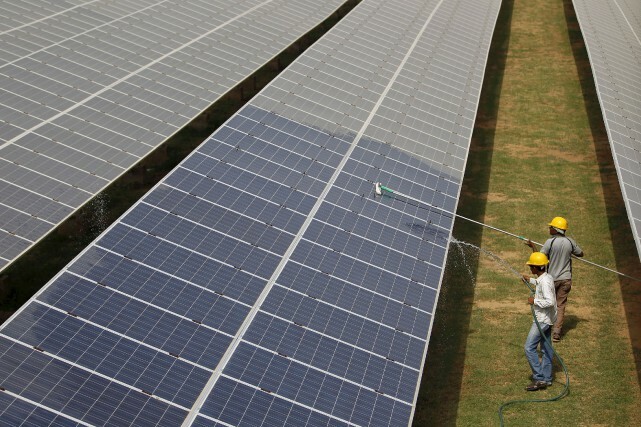 The Trump administration imposed the tariff in January after the U.S International Trade Commission found that imports of crystalline silicon, one of the main components of photovoltaic technology in solar panels, cause “serious injury” to American manufacturers. The commission recommended tariffs of between 10 and 35 per cent to be placed on crystalline silicon mostly coming from China and Mexico. In February, three Canadian solar panel manufacturers filed a lawsuit against the American government over the solar cell imports. Ontario-based Silfab Solar Inc., Heliene Inc. and Canadian Solar Solutions Inc., along with U.S.-based distributor Canadian Solar (USA) Inc., filed the challenge at the U.S. Court of International Trade in New York. When asked why Freeland is only asking for the review now, Global Affairs has pointed to the same press release with Freeland’s statement. The request comes as trade tensions are heightened between Canada and the United States. Our southern neighbours also imposed 25 per cent tariffs on steel and 10 per cent imports on aluminum in June. In response, Canada has imposed $16 billion in retaliatory tariffs on July 1 on an array of American goods, including whiskey, yogurt and felt tip pens. In the last three weeks, the United States has also threatened to impose tariffs on Canada’s automotive industry which some reports believe would cause 100,000 Canadians to lose their jobs and could launch the country’s economy into recession by 2020. Under Section 20 of the NAFTA agreement, an investigation can be launched by either party. The investigation process begins with government-to-government consultations. If the issue is not resolved, one of the parties can request a meeting of the NAFTA Free Trade Commission that will include the Canadian and American trade ministers. If none of these steps work, Canada could also create a five-member panel to review the case. At least one hearing will take place in the next five months if Canada goes forward with the request. “Canada is using every available avenue, including the mechanisms within the NAFTA, to challenge the Trump administration’s protectionism and defend Canadian interests,” said Roland Paris, a University of Ottawa international relations expert and Prime Minister Justin Trudeau’s former foreign affairs adviser. “I think that prolonging the uncertainty could slow down investments in the medium- and long-term, which obviously hinders economic growth in Mexico,” wrote Obrador. He said his transition team members would take part in the talks with current government members. Freeland had no immediate comment on the letter.